Have you been told you snore loudly or sometimes make choking noises while you sleep? Obstructive sleep apnea is a common and severe sleep disorder that causes you to stop breathing during sleep. Because your brain and body become oxygen-deprived in the process, you’re forced to wake up. That can happen a few times a night or, in more severe cases, several hundred times a night. 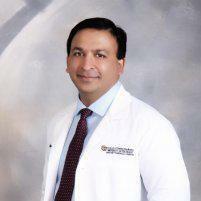 Dr. Akmal Ahmed at Healthy Smiles of Orlando helps patients suffering from sleep apnea manage their condition. If you live in Lake Mary, Florida and believe you might have sleep apnea, call today or book an appointment online with Dr. Ahmed. Obstructive sleep apnea, or OSA, is a common but severe sleep disorder that causes you to stop breathing during sleep. The muscles of your upper airway relax while you sleep, allowing soft tissue at the back of your throat to collapse and block your airway. As a result, the oxygen levels in your brain drop significantly, causing you to wake up. And the narrowed airway causes you to snore by making the tissues in the back of your throat vibrate as you breathe. What are common problems with sleep apnea? If you’re suffering from sleep apnea, you’re more likely to wake up in the morning feeling tired, even though you’ve had a full night of sleep. During the day, you may have a difficult time concentrating, experience fatigue, and even unintentionally fall asleep. How can you treat obstructive sleep apnea? Sleep apnea sometimes requires a combination of treatments as well as a sleep team who collaborate to create the best plan for you. CPAP is a machine that uses a steady stream of air to keep your airway open, so you’re able to breathe throughout the night. You sleep with a mask that has a hose attached to a machine. The masks and machines can vary depending on your treatment and comfort needs. Oral appliance therapy is a useful treatment option for obstructive sleep apnea, recommended for patients with mild to moderate apnea who can’t tolerate CPAP. After receiving a sleep apnea diagnosis, Dr. Ahmed fits you with an oral appliance, which feels like a mouth guard or an orthodontic retainer. The device supports your jaw in a forward position to help you maintain an open upper airway. You should only wear your appliance while you sleep. Oral appliances are also easy to care for, quiet, and portable. That's why some patients prefer sleeping with an oral device rather than using a CPAP machine. If you think you or a loved one is suffering from sleep apnea, call Healthy Smiles of Orlando or schedule an appointment online.